Do You Know the Signs of Roof Storm Damage? If you live anywhere near the Indianapolis Metropolitan area, as of late you’ve experienced your fair share of soaked shoes and emergency text alerts, and power outages and trust me when I say no one feels your pain like I do. But the damage caused by the recent influx of heavy storms goes much farther than drenched apparel and unfortunately, your home’s roofing might be paying the ultimate price. The impact storm weather can have on your roof is pretty serious and for many Indianapolis homeowners, roof storm damage is becoming an unfortunate trend. Knowing what to look for is the first step in learning how to engage roof storm damage when it occurs. The three exterior elements that most commonly cause roof storm damage are high winds, heavy rain, and hail. It’s important to keep in mind that not all roof storm damage in obvious and visible to the naked eye. 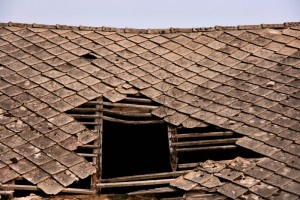 So be sure to consult a local roofing professional. High winds are strong enough to make serious impact with your roof, tearing and peeling asphalt shingles, leaving your inner layers of your roof exposed to further potential damage. Roof storm damage from heavy rain doesn’t occur instantly, but can have significant effects nonetheless. Rain water can penetrate your roof’s underlayment, weakening your roof’s framing and structure and leaving it susceptible to further and more long term damage. Heavy rain can also cause irreversible damage to your shingles, often causing them to curl up or become detached from your roofing structure. Hail storms can can leave undesired dents and abrasions on your roof and can cause the granules on the asphalt shingles to fall off. leaving your roof ultimately unprotected. 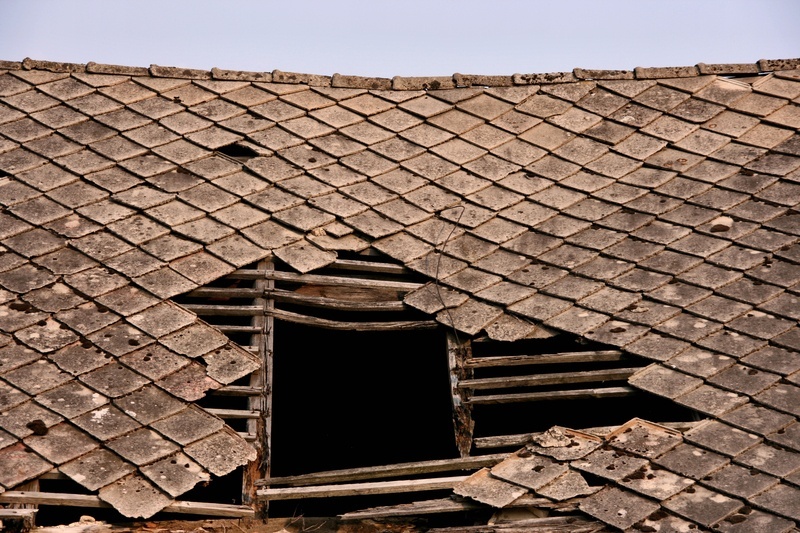 Understanding the various causes of roof storm damage can help in guarding your home from further weather inflicted issues and help you recover when heavy storm strike in the future. Remember to stay current on your roof maintenance and get curious about even the smallest details. For more, please contact your local roofing contractor or give Bob Bauerle a call at (317) -985-2344.